Japan has taken robotics to the next level. 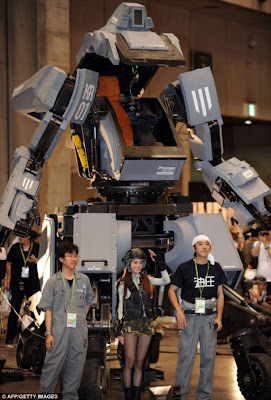 Suidobashi Heavy Industry has developed a fully functional mecha robot named Kuratas that can shoot rockets and 6,000 bullets per minute. The mecha unit was debuted at Wonder Fest 2012 in Tokyo. It is about 4 meters high, weighs 4,500 kg and cost about $1.4 million USD. 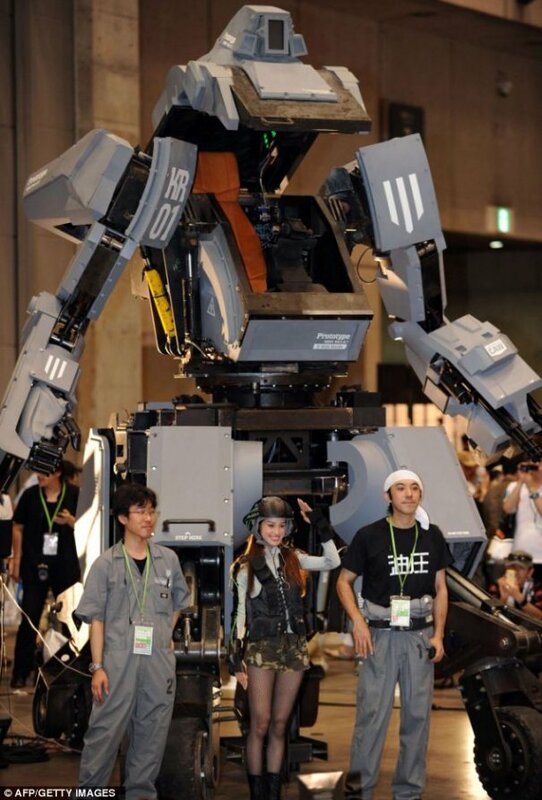 Kuratas can be controlled by stepping into the one-man cockpit or on a smartphone using a 3G connection. Pilots have a choice of 2 different weapons to use. The first is the LOHAS launcher which shoots rockets at its target. The second is a set of gatling guns capable of firing 6,000 rounds of ammunition every minute. The weapons system can lock on to targets and be activate by smiling. Despite its limitations, Kuratas is another step towards the creation of futuristic war machines found in popular anime series such as Gundam. Japanese politicians have already stated that they would like to develop such machines.